Embarking upon a six-hour ride on a motorized dugout canoe from Mbandaka to Bolomba in the Democratic Republic of the Congo isn’t your ordinary journey. It’s one that means pushing away from the familiar shores of the 21st century to a place without cell phones, electricity and other modern conveniences. That’s exactly what a delegation from the Southeast Conference of t he United Church of Christ (UCC) will experience in just a few short weeks. It’s here they’ll retrace where Millard and Linda Fuller, founders of Habitat for Humanity and The Fuller Center for Housing, kicked off the worldwide affordable housing movement with the help of the UCC in the 1970s. “If that makes you go ‘Huh? I never knew the UCC and Habitat had anything to do with each other!’ just like I did … that’s part of the reason we’re going, to spread the word about this little known connection,” said Leah Lyman Waldron, a member of the delegation and co-founder of Praxis United Church of Christ in Atlanta. 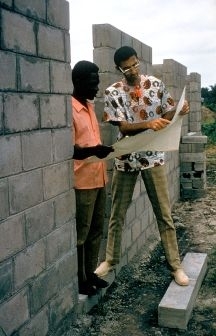 That connection formed when Millard Fuller first visited Mbandaka, a settlement located deep in what was then known as Zaire, in 1966. He was intrigued by the potential of a “Block and Sand” project, which was used to create building blocks for houses, that the U CC had inherited from unsuccessful missionaries. The operation was in disrepair, but the Fullers turned it into a successful, working project with the help of a grant from the United Church Board of World Ministries. They worked on donated land that was a dividing property separating the Africans and Whites in colonial days. Called “Bokotola,” which means “man who does not care for others,” it was there they put into practice the theory of a revolving loan fund they called “fund for humanity,” which they conceptualized in Americus, Ga., on Koinonia Farm with their mentor, Clarence Jordan. 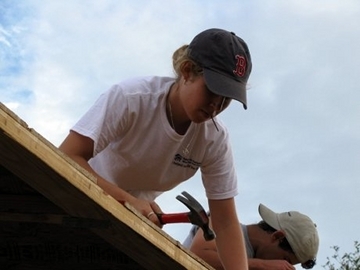 By implementing this idea, the Fullers built the first 114 Habitat for Humanity homes and transformed the local community. Much of the delegation’s purpose on the trip will be to uncover this history and bring it to light for the public again through storytelling, as well as to continue the work that the Fullers started in the 70s. Another mission on the trip will be to strengthen already-existing relationships, Lyman Waldron said. “We will be visiting the Congo not as tourists or missionaries but as the guests of the local Congolese church–the focus will be on building on existing relationships and celebrating a beautiful partnership rather than on what "we" can do for "them," which is a pitfall a lot of church mission trips fall into,” she said. 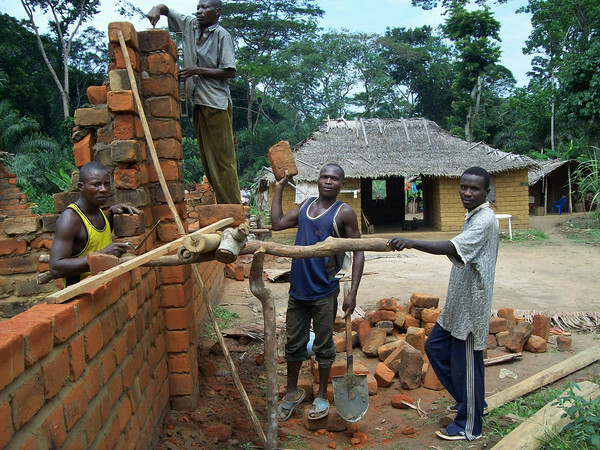 One of those important relationships is with The Fuller Center Bolomba Likolo, which was founded in 2007 despite obstacles such as the absence of a local bank, no nearby store to purchase building materials, inadequate roads and transportation methods, and an unpredictable rainy season. Construction has begun on 20 houses so far. The delegation is also currently raising funds for a sawmill, which will enable construction of those houses to be completed, help build additional homes and create jobs for the local population. “Over 400,000 houses later worldwide, the vision born at Koinonia Farm and continued in that remote corner of Africa has begun anew,” The Fuller Center president David Snell said.